The helmet is designed to protect the head from impacts with heavy objects, metal rods, bottles, etc., as well as an open shingle. Preserves strong properties after exposure to water for 4 hours. The shockproof helmet consists of a plastic body, a visor made from polycarbonate, shockproof with an anti-scratch coating, an internal rigging, a chinstrap and a removable bartender (the pads are designed to protect the neck and partially the shoulders from blows). 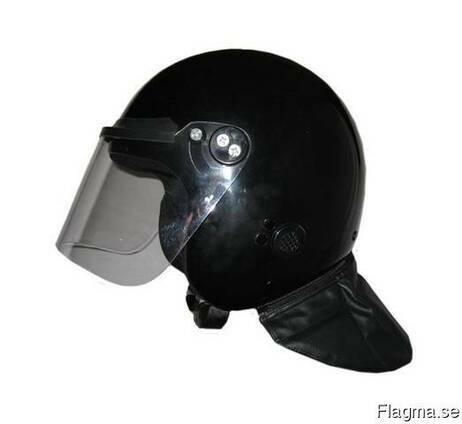 The body of the helmet is equipped with auditory holes, covered with patches. The chin strap with a plastic chin and clasp provides adjustment of the helmet over the head. Size of the helmet: 58, 60, 62.